Modern lighting, contemporary lighting, modern lamps, pendants, sconces and modern outdoor lighting by Stardust Modern Design. 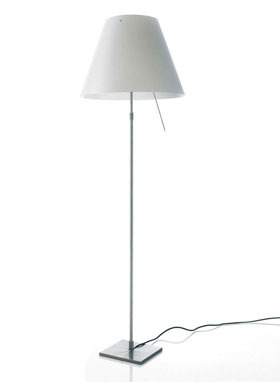 Presenting lighting by Artemide such as the Tolomeo Lamp and the Tizio Lamp, Flos including the Miss K Lamp, the Archimoon Lamp and the Flos Arco Lamp and many others. 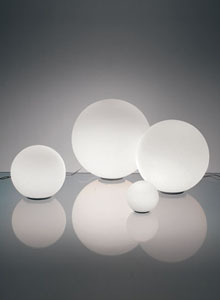 We offer the best in modern lighting from Artemide, Axo, Flos, FontanaArte, Kartell, Kundalini, Leucos, Luceplan, Louis Poulsen, Moooi, Prandina, Verpan and many others. We've hand picked the most beautiful lamps from the best designers such as the George Nelson Bubble Lamps, the Philippe Starck Bourgie Lamp and the Tolomeo Lamp by Artemide. 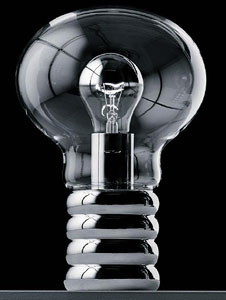 If you love modern design; you will love our modern lighting selection. Whether you are looking for some unique kitchen counter pendants, a modern Italian chandelier, a classical wall lamp or a functional desk lamp, Stardust offers you all the best to illuminate your home in style. Stardust specializes in pendant lights and designer chandeliers and offers an awesome selection of over 1000 lights adding style and personality to your home decor. We offer a stunning top-quality collection of modern Italian chandelier lighting and hand-crafted Murano glass chandeliers created by the worlds leading designers and brands. Our contemporary to modern Italian design lamps and pendant lighting collection features a spectacular collection of handmade chandeliers mostly from Italy. Discover the most interesting chandeliers, from Artemide's beautiful Pantalica Murano glass chandelier to highly decorative designs from the late 1960s and 1970s such as the Flos Chandelier 2097 by Gino Sarfatti. Interested in the latest high-tech LED chandeliers? The Flos Long and Hard LED linear pendant chandelier by Philippe Starck is outfitted with 252 led light bulbs for energy savings. Stardust is a leader in lighting and is renown for the exclusivity of its chandelier designs and features an extensive selection of more than 500 designers from what some consider the peak of Italian contemporary lighting design. Shop modern lighting for the home and office at Stardust. Visit our modern San Francisco lighting store located in the San Francisco Bay Area, situated in the historic center of Sonoma, California or shop from the online comfort of your home and enjoy free shipping, no added sales tax, low price guarantee and our famous friendly customer service.